RoboPlant, the world’s first ever robotic plant, is part of a new exhibition to celebrate one of the University of Sheffield’s most illustrious alumni. KrebsFest, which takes place at the University from today (Thursday 15 October) until the end of November, is a tribute to Sir Hans Krebs, winner of the Nobel Prize for Physiology or Medicine in 1953. 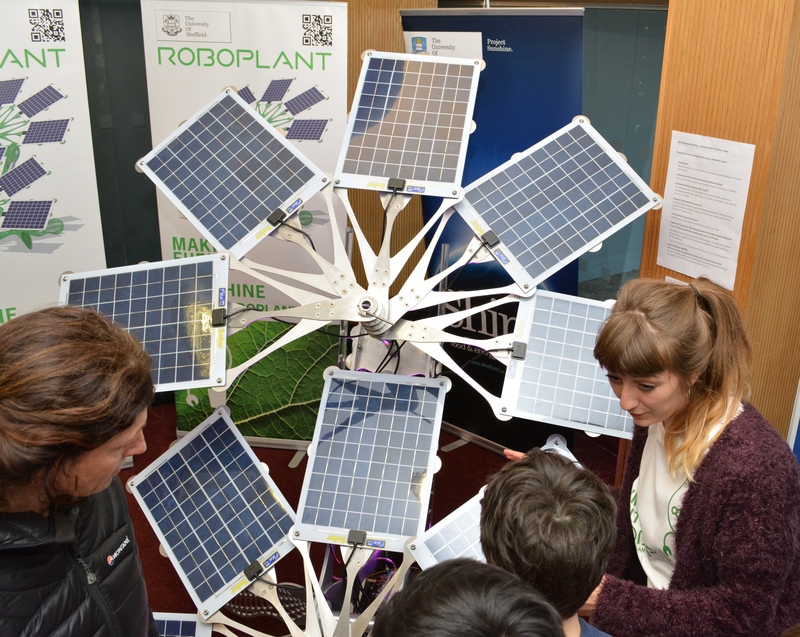 As part of the festival, an exhibition showcasing some of the University’s most cutting edge research has been launched in Western Bank Library, and the Grantham Centre is displaying RoboPlant. The human-sized robotic plant mimics the process of photosynthesis to represent the way humans could use the power of the sun to address food and energy shortages. It was developed by Grantham Centre Associate Director, Professor Colin Osborne, with a team of colleagues and students at the University. Other highlights at the festival include a 28-metre inflatable E. coli bacteria that has been installed in Sheffield city centre’s Winter Garden, and talks by Nobel Prize winners Sir Richard Roberts, Professor Jules Hoffman and Sir Paul Nurse.